﻿Millions of small pecan trees are in yards, in pastures, and on fence rows in Mississippi. If these trees were grafted to desired varieties and given some after-care, these trees could produce good quality pecans. The 4-flap grafting procedure is simple and does not require sophisticated materials. Homeowners, commercial growers and 4-H participants can use this grafting method. Optimum stock (trunk and limb) size for grafting is 3⁄8-inch to 1-inch in diameter. Nurserymen commonly produce seedling trees of this size from planted nuts in two or three years. Although the graft works best if the graftwood (scion) and stock are the same size, the graft can be made with scions 25 percent larger or smaller than the stock. The 4-flap graft is successful because more cambium contact is made between the scion and the stock than with any other grafting procedure. The cambium contact is necessary for callus formation and a successful graft union. One of the common reasons grafting is unsuccessful is the failure to properly collect and store graftwood. Collect the desired variety while the wood is dormant, in January or February in Mississippi. Young trees produce vigorous growth and are generally excellent sources of scion wood. Do not collect scion wood that is 2 to 3 years of age. For best results, collect wood from the previous season’s growth. Collect scion wood from trees that don’t have diseases. Cut the scion wood into 6- to 8-inch sticks. Wax both ends. Either paraffin or wax is suitable to prevent drying out. Tie the sticks in bundles of 25. Identify each group with a tag or by some other method. Wrap scions in a wet newspaper, then put into a plastic bag and seal. Store in the hydrocooler or a refrigerator until it is time to graft. Do not store graftwood in a freezer. When the bark slips freely from the stock, you can begin grafting. This usually occurs in mid-April in most parts of Mississippi. If the tree is budding in the spring, it can be grafted. The 4-flap method can be successfully used through mid-June. Cut the stock straight across with sharp pruning shears at the point you want to make the graft. The stock should be about the same size as the graftwood. Place a small rubber band on the stock to be used later. Make four vertical cuts 2 to 3 inches long and equally spaced (quartered) around the circumference of the stock. Make the cuts through the bark only. Choose a smooth, straight scion. Cut to about 6 inches in length with two or three buds remaining. With a sharp knife, cut the scion on four sides, starting the cut about two inches from the bottom end. The cut should be made only through the bark. The end view will be square. Note: Many times only three cuts can be made due to the size of the graft wood. This is acceptable but it is best to have four cuts if possible. Pull the four flaps of bark down. This will expose 2 to 3 inches of white wood. Try not to touch the inside of the flaps or exposed surface of the scion. With sharp pruning shears, cut and remove the exposed wood (plug). Be careful not to touch, cut, or damage the four flaps. Insert the scion upright on the stock. Pull the four flaps in place to cover the four cut surfaces on the scion. Pull the rubber band up to secure the four flaps to aid in wrapping. Wrap the cut areas with grafting tape. Overlap each wrap only enough to provide a complete seal. As you wrap, move the rubber band up the scion and remove it. Cover the tape with a piece of regular household aluminum foil. Clip the corner of a polyethylene bag (pint or quart size) and carefully slip it down over the stock with the scion protruding through the bag. Tie the bag to the scion approximately 1 inch above the foil and to the stock 1 or 2 inches below the foil. You can use rubber bands, budding strips, string, masking tape, or other tapes to secure the polyethylene bag in place. Keep growth on the stock in check throughout the first summer by removing growing tips. Do this several times during the growing season. This will cause a trashy or bushy trunk to develop, resulting in increased tree diameter and overall vigor. The growth on the stock can be used as a “throttle” to regulate the growth rate of the graft. If the graft is growing slowly, remove more of the lateral growth on the stock. Should the graft make excessive growth that is vulnerable to breakage, allow the stock growth to remain for an extended period. Normally, all the growth on the stock below the desired height of the bottom limb will be removed in two or three years. The bag and foil may stay in place for the rest of the year. Remove it the following winter along with the tape unless ants are working on the graft. In case of ants, you may remove the bag and foil in August or September. Cut tape soon after vigorous scion growth begins to prevent girdling of the stock and the scion. 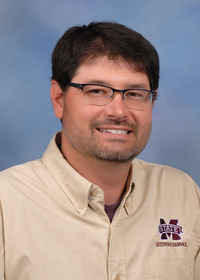 Revised by Eric T. Stafne, PhD, Associate Extension/Research Professor, Coastal Research & Extension Center.